If you are looking for excitement in the jungle, adventures organized by our expert staff provide the perfect start! In addition to canoe trips and river tubing, we also offer elephant bathing – great ways to spend your days around Khao Sok Thailand! All of these tours are available when you book a room or a tour package. 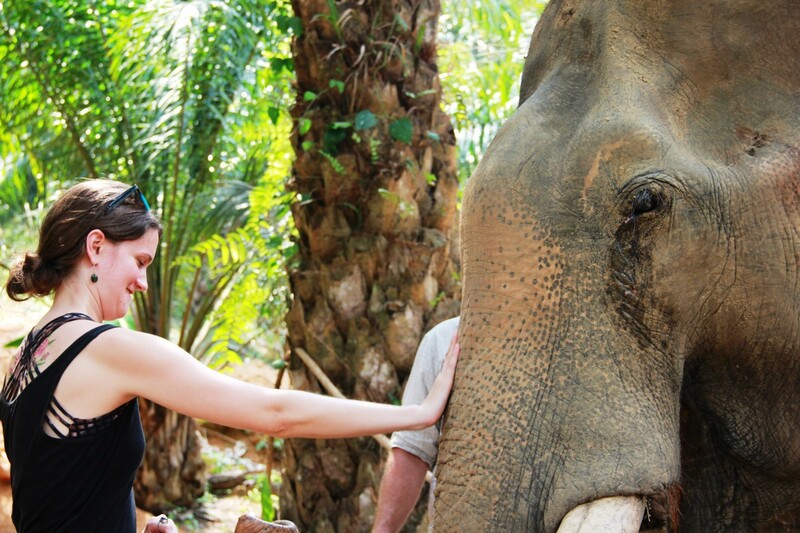 Get up close and personal with elephants – our tours are cruelty-free and elephant friendly! If you are looking for water activities, either a canoe or tubing trip is guaranteed to please! You will travel down the gentle river surrounded by spectacular mountain scenery. 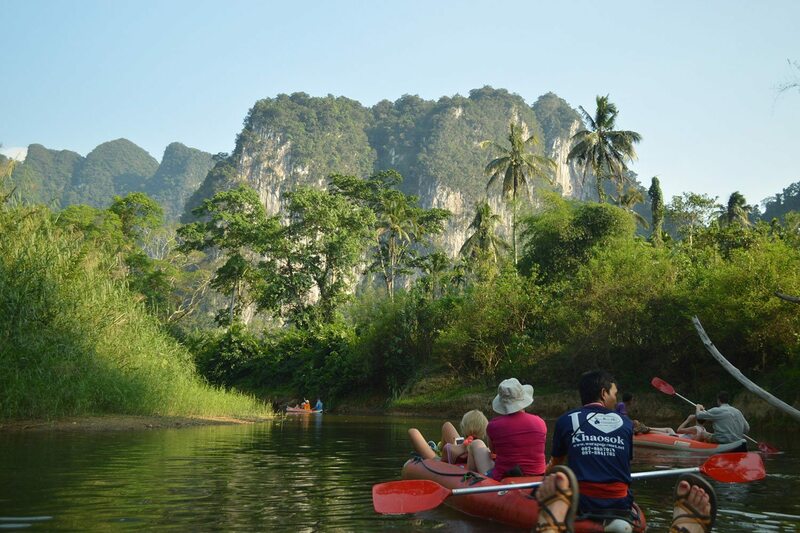 This is a classic Khao Sok Thailand adventure where you hop into a canoe and explore the river with a local guide. Since your guide will paddle the boat, you can relax while he points out the wildlife you will encounter on the way. As a result, you can see monkeys playing in the trees, brightly colored kingfishers, and snakes snoozing in the trees above. During your journey down the river you will stop on the banks for a coffee break and a swim in the cool water. Continuing, you can soak up stunning views of the limestone cliffs and forested riverbanks. Finally, you will stop at a fish conservation pond, where you will have the chance to explore a small cave on your own. Duration: About one and one-half hours in the canoe, and fifteen minutes drive each way. Tip: You will only get wet if you want to, yet it is a good idea to bring a plastic bag to store electronics during the rainy season. When the river is high enough, river tubing is a favorite Khao Sok Thailand adventure! Hop on a rubber tube at the ridge and ride the water. 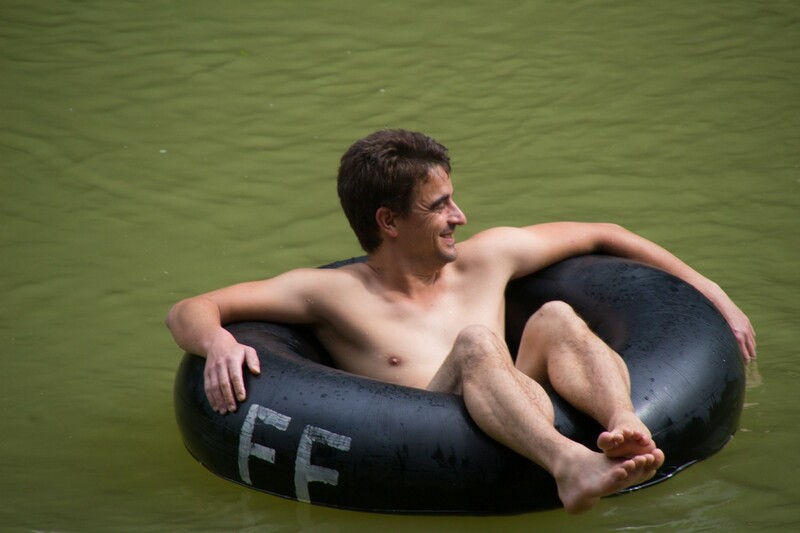 Since river tubing requires strong currents, guides will accompany you to make sure your ride is both fun AND safe! You will find some areas where the water moves faster and you can rock and roll down the rapids. At these points, your guide will point the way for you and make sure you avoid obstacles. In the calmer parts of the river they can point out monkeys, birds, and snakes sleeping in the trees. As a result, you can enjoy the clear, cool water, and let others do the work! For those who think they are too old for this kind of stuff, don’t be silly: be a kid again and tube the river! Duration: 1-2 hours, depending on the speed of the river. Tip: Because this trip encounters deep water and strong currents, it is recommended for people who are comfortable swimming. We do not offer elephant rides, but never fear, we have developed 2 truly delightful elephant-friendly experiences. Elephant Retirement Experience – help Somboon the elephant retire from a life of hard work. Visit Somboon at a family farm, and learn what it’s like to own an elephant. This is a unique opportunity to feed, bathe, and care for one of nature’s most amazing creatures. Elephant Bathing – if you want to spend a shorter amount of time with these gentle giants, this is a chance to see elephants at their most playful – watch out for splashing! Duration: Retirement Experience – about 2 hours with the elephant, and 20 minutes drive each way. Bathing – about 45 minutes with the elephant, and 15 minutes drive each way. Tip: both tours include a bathing activity, so bring a change of clothes and a towel!